This EHR Module is 2014-2015 Edition compliant and has been certified by an ONC-ACB in accordance with the applicable certification criteria adopted by the Secretary of the U.S. Department of Health and Human Services. This certification does not represent an endorsement by the U.S. Department of Health and Human Services. 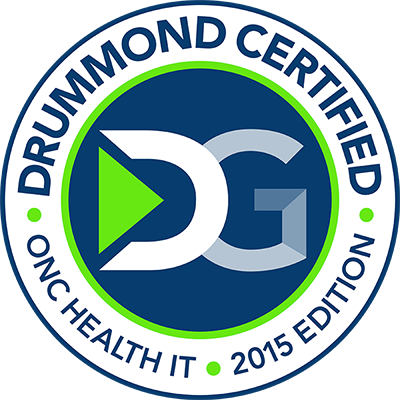 Drummond Group is accredited by ANSI and approved by ONC for the ONC HIT Certification Program to certify: Complete EHR, EHR Module (all), and Certification of other types of HIT for which the Secretary has adopted certification criteria under Subpart C of 45 CFR. Please click here to review the Praxis Modular EHR (Ambulatory) Certification. Frost & Sullivan, the Growth Partnership Company, enables clients to accelerate growth and achieve best-in-class positions in growth, innovation and leadership. Through extensive analysis, F&S determines how best-in-class companies worldwide manage growth, innovation and leadership. 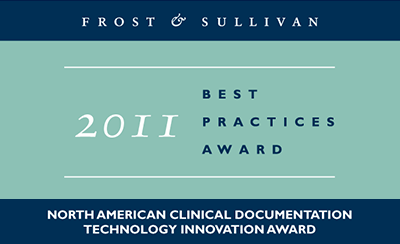 Based on the findings of this Best Practices research, Frost & Sullivan presented the 2011 North American Technology Innovation Award in Clinical Documentation to Praxis EMR, as well as the 2008 North American Healthcare Technology Innovation Award. Frost & Sullivan leverages 50 years of experience in partnering with Global 1000 companies, emerging businesses and the investment community from more than 40 offices on six continents. To join the Growth Partnership, please visit http://www.frost.com. An ethical marketplace where buyers and sellers can trust each other. The Healthcare Information and Management Systems Society (HIMSS) is the healthcare industry's membership organization exclusively focused on providing global leadership for the optimal use of healthcare information technology (IT) and management systems for the betterment of healthcare. HIMSS awarded Alpenglow Medical PLLC, a Primary Care clinic headed by Doctor Daniel Griffin, The Nicholas E. Davies Award award for excellence in the use of Electronic Medical Records. The Davies Award recognizes top performance in the implementation and use of health information technology. Each year the national award spotlights providers that demonstrate exemplary use of EMR systems to improve healthcare delivery. Dr. Griffin credits the Praxis Concept Processor for his success. Surescripts operates the nation's largest e-prescription network and supports a rapidly expanding ecosystem of health care organizations nationwide. Surescripts was founded on the principles of neutrality, transparency, interoperability, efficiency, collaboration and quality. 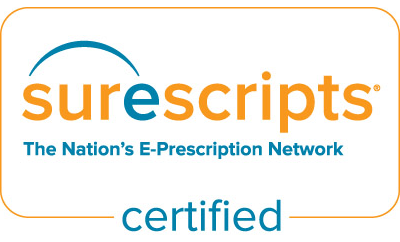 Surescripts connects prescribers in all 50 states through their choice of e-prescribing software to the nation's leading payers, chain pharmacies and independent pharmacies. Available during emergencies or routine care, the Nation's E-Prescription Network gives health care providers secure, low-cost, electronic access to prescription and health information that can save their patients' lives, improve efficiency and reduce the cost of health care for all. For more information, go to www.surescripts.com. The Bridges to Excellence mission is to help the best clinicians in the country build their practices, help patients get healthier, and help insurers and employers manage costs better. BTE programs are administered by the Health Care Incentives Institute and designed around three key lessons gained from research and experience. First, it's critical to measure what matters most-the handful of indicators that have truly significant clinical and financial impact. Second, clinicians who follow those quality measures will consistently provide better care at lower costs. Typically, they outperform their peers on process measures of quality, and have lower average costs per patient and per episode. Third, incentives only work if they are fair and designed to increase over time, so clinicians who continually improve their practices are rewarded in kind. The better they get, the more incentives they deserve, and the more patients should be encouraged to utilize them. The National Committee for Quality Assurance (NCQA) is a private, not-for-profit organization, dedicated to improving health care quality. Since its founding in 1990, NCQA has been a central figure in driving improvement throughout the health care system, helping to elevate the issue of health care quality to the top of the national agenda. The NCQA seal is a widely recognized symbol of quality. Organizations incorporating the seal into advertising and marketing materials must first pass a rigorous, comprehensive review and must annually report on their performance. For consumers and employers, the seal is a reliable indicator that an organization is well-managed and delivers high quality care and service. 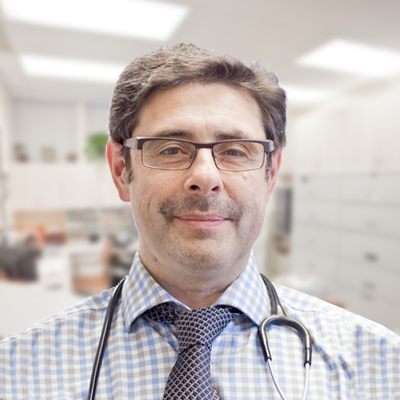 Patient-Centered Medical Home (PCMH) is an innovative program for improving primary care. In a set of standards that describe clear and specific criteria, the program gives practices information about organizing care around patients, working in teams and coordinating and tracking care over time. The NCQA Patient-Centered Medical Home standards strengthen and add to the issues addressed by NCQA's original program. 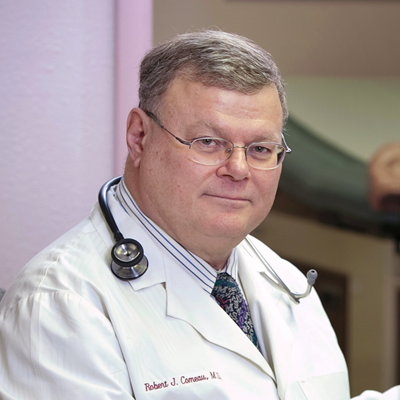 The Patient Centered Medical Home is a health care setting that facilitates partnerships between individual patients, and their personal physicians, and when appropriate, the patient's family. Care is facilitated by registries, information technology, health information exchange and other means to assure that patients get the indicated care when and where they need and want it in a culturally and linguistically appropriate manner. AAFP's Partners for Patients. AAFP's Center for Health Information Technology has signed agreements with leading companies whose software, hardware, and networking products and services are important adjuncts to the modern practice of medicine. The Center for Health Information Technology is serving as a forum for regular communication and meetings with the companies in the Partners for Patients core group, and collaborating with them on a range of standards implementation efforts that will help to make EHRs and other office-based IT more affordable, compatible, and interoperable. The adoption of information technology in the outpatient setting is a primary focus of the DOQ-IT initiative, which also includes submission of clinical measure data to the Quality Improvement Organization (QIO) Clinical Warehouse. Electronic Health Record (EHR) specifications have been developed that outline data standards required for submission to the QIO Clinical Warehouse using HL7 messaging. Measures will be calculated and reported at the practice level for quality improvement assessment. ASTM International plays a leadership role in addressing the standardization needs of the global marketplace. 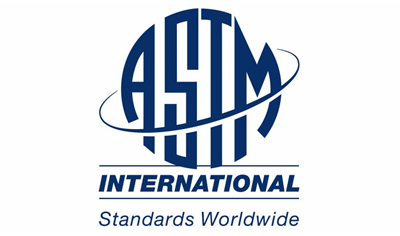 Known for its best in class practices for standards development and delivery, ASTM is at the forefront in the use of innovative technology to help its members do standards development work, while also increasing the accessibility of ASTM International standards to the world. The Continuity of Care Record (CCR) is being developed with ASTM as a response for the need to organize, to share, and to make transportable the set of basic information about a patient's health record. Health Level Seven is one of several American National Standards Institute (ANSI) - accredited Standards Developing Organizations (SDOs) operating in the healthcare arena. Like all ANSI-accredited SDOs, Health Level Seven adheres to a strict and well-defined set of operating procedures that ensures consensus, openness and balance of interest. 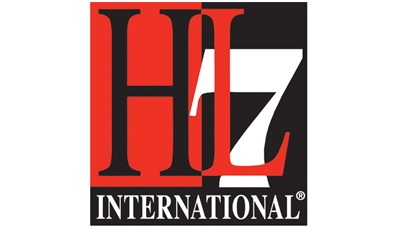 HL7 is an international community of healthcare subject matter experts and information scientists collaborating to create standards for the exchange, management and integration of electronic healthcare information. HL7 promotes the use of such standards within and among healthcare organizations to increase the effectiveness and efficiency of healthcare delivery for the benefit of all. The Medical Group Management Association (MGMA), founded in 1926, is the nation's principal voice for medical group practice. MGMA's 20,000 members manage and lead more than 12,000 organizations in which more than 242,000 physicians practice. MGMA leads the profession and assists members through information, education, networking and advocacy. Its core purpose is to continually improve the performance of medical group practice professionals and the organizations they represent. 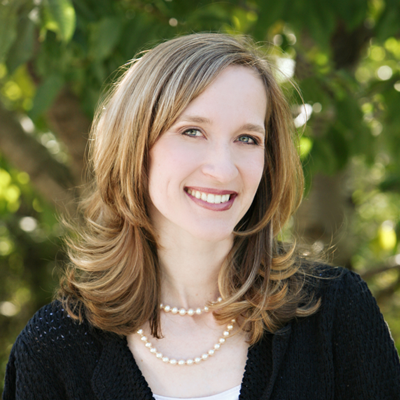 See why our EMR software is so well respected by major players in the Healthcare IT industry. View the Praxis EMR Demo! 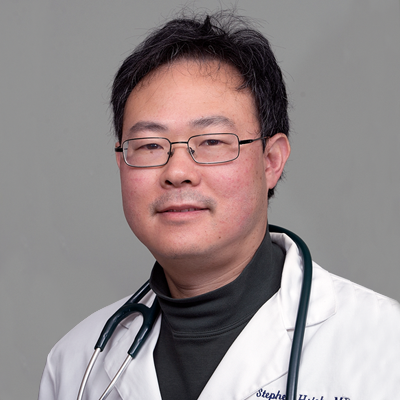 Copyright © 2019 Infor-Med Inc. All rights reserved.